It’s sunset. 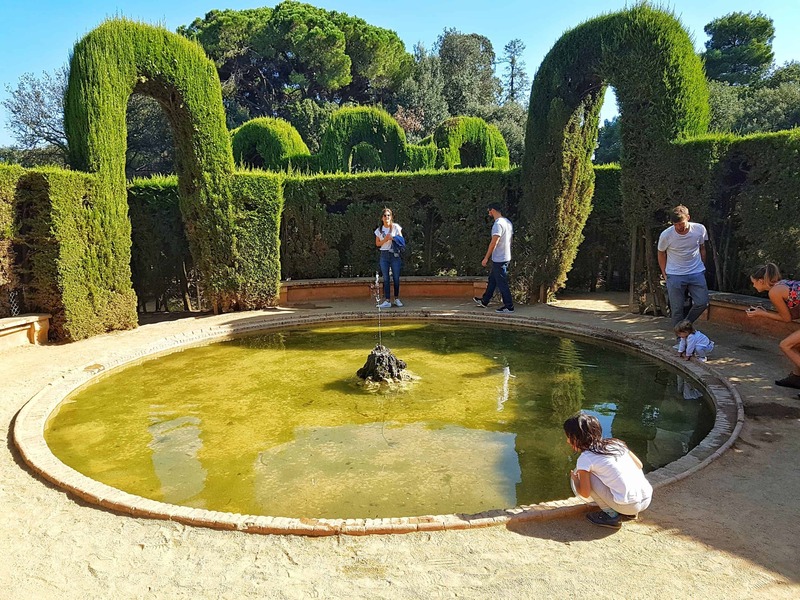 You’re on your estate on a hill, sipping on cava, standing next to a square pond with a bust of Greek god Dionysus nearby. You’re mingling with black-tie guests at your own soiree. You hear ladies giggling in high shrieks, throwing their heads back while twirling their pearl necklaces. Suddenly, everyone breaks out into an orchestrated dance like in “The Great Gatsby” film. That’s how I imagine a typical evening for marquis Juan Antonio Desvalls, the first owner of this former estate in late 1700s. 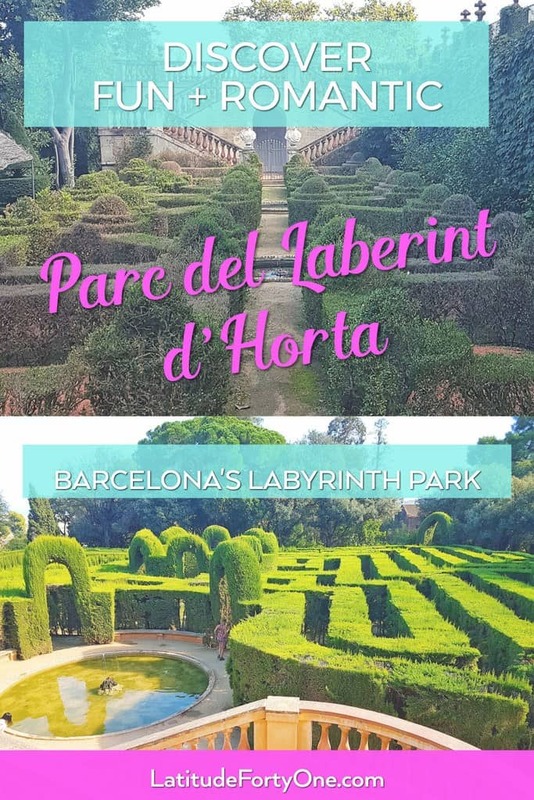 Today, it’s the Parc del Laberint d’Horta, the oldest park in the city. 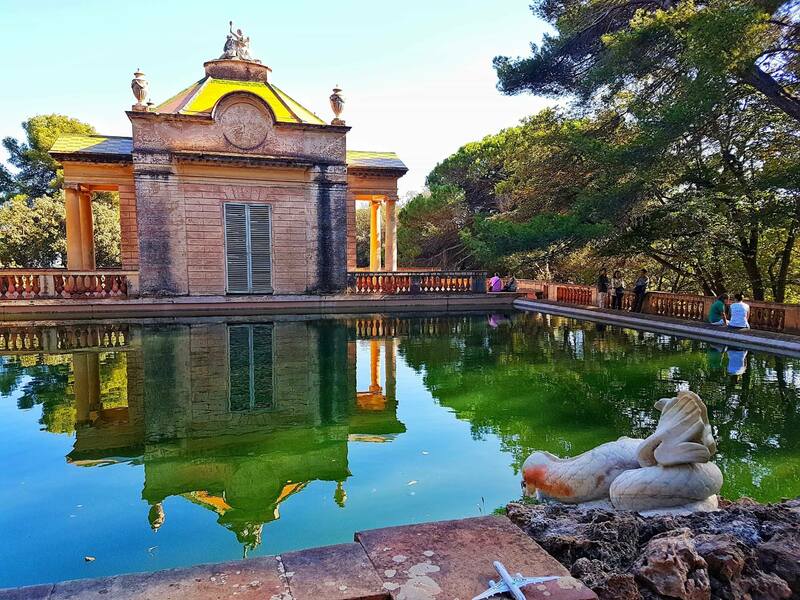 Off the tourist radar, this park sits in the Barcelona neighborhood of Horta and extends over 55 hectares. It was built in 1791 but became open to the public in 1973. 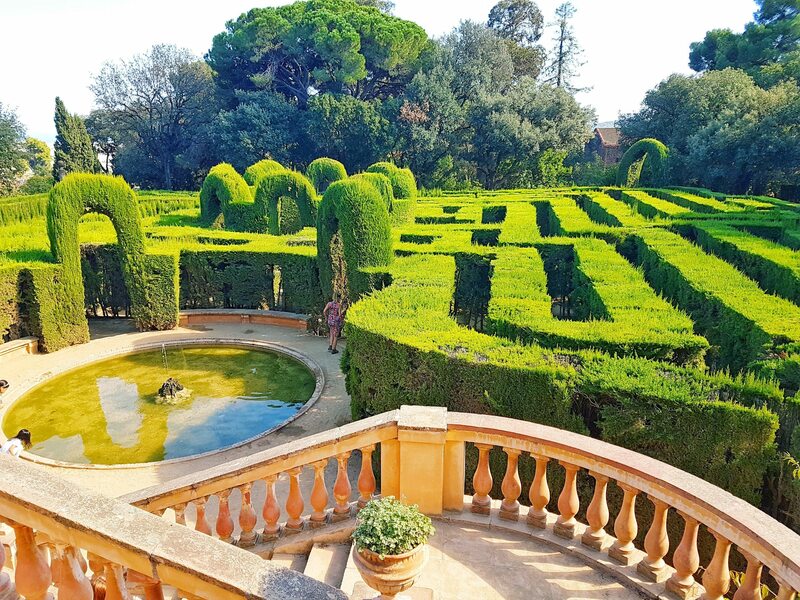 The park gets its name after its show-stopping feature: a green high-walled labyrinth for guests to get lost in. 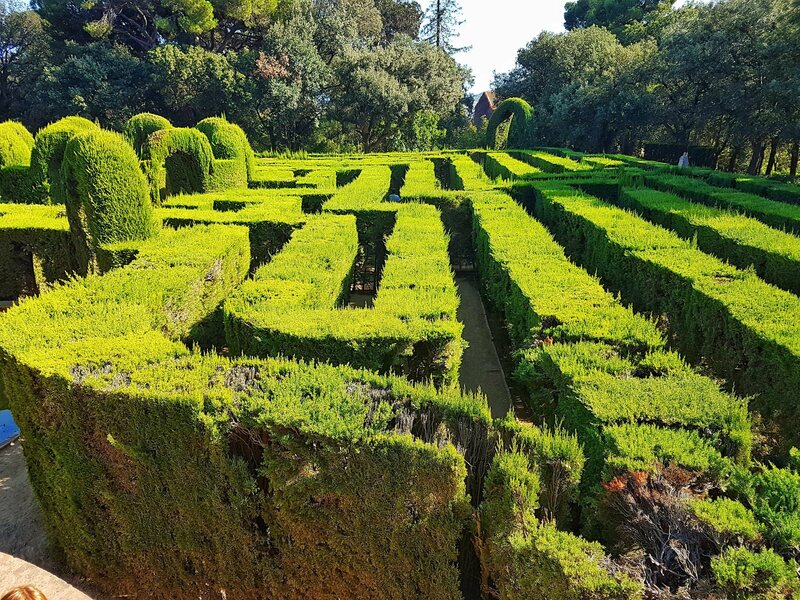 Even though a labyrinth conjures up images of a fairytale storybook, everyone of all ages can break off a chunk of fun and adventure here. Yes, even you can imagine yourself to be Alice getting lost in her own woodland wonderland. 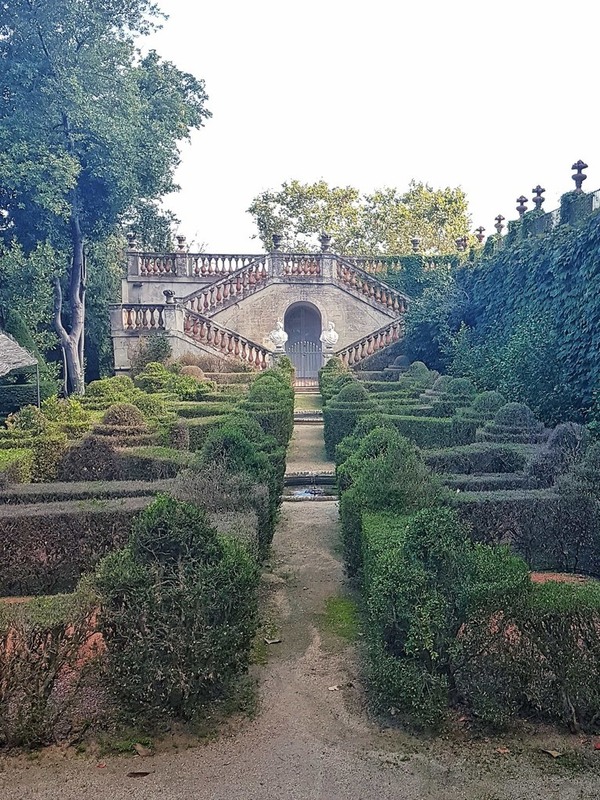 Apart from the labyrinth, the park also has a large playground, an outdoor/cafe bar, picnic areas, statues, a quiet stream, and gorgeous landscaped gardens to fawn over. If you’re intrigued, plan on spending at half a day here to really enjoy it. And if you go on a Wednesday or Saturday, it’s FREE! 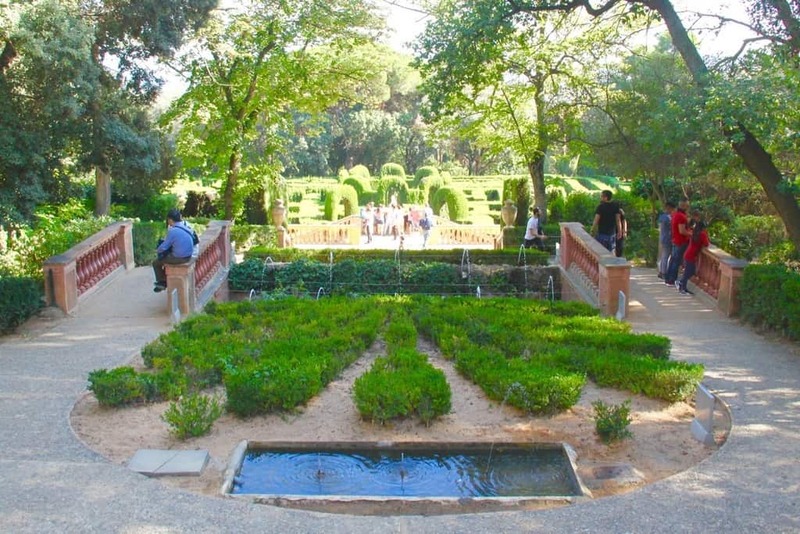 It Catalan, it’s actually called “Jardí dels Boixos” (boxwood garden). Sadly, it’s off-limits to visitors (womp womp). If you want a photo of it, you’ll have to squeeze your phone through the gates like I did, too. Because it’s part of another premise, which is closed. Awaiting for the Von Trapp family to appear. On to the maze! At the entrance, you’ll find a frieze of Greek legend Minos awaiting Theseus. After that, be prepared for the twists, turns, and dead ends, oh my! Of course, kids love a mind-boggling maze to run in. But it’s romantic for couples, too. Lovers, you can stroll through hand-in-hand with your honey, lose yourself between the hedges, and in each others’ eyes. 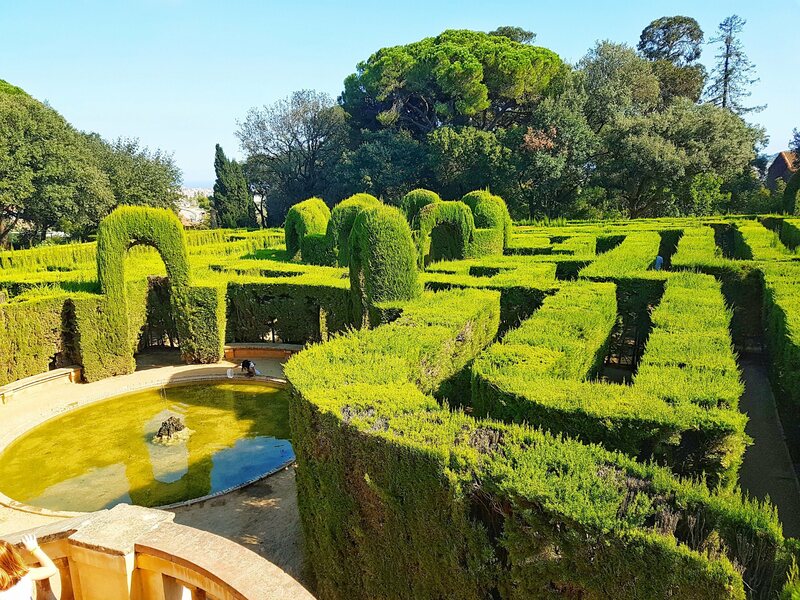 Awww…..
What’s the difference between a maze and a labyrinth? A maze is more complex, and a labyrinth is unicursal. But it’s just semantics, right? The objective of the labyrinth? Arrive to the dead center. When you do, you’ll find a statue of Eros, the god of LOVE. Now that you’ve found Señor Amor, you still have to find your way outta there. So, the fun is NOT OVER, my friends. Twist, turn, hit a dead end, backtrack, and snicker. Then find your way to this fountain. Idea to make coffee money for park employees: throw a few coins inside the fountain. Let kids see coins in fountain. Collect coins at end of day. After that, you can climb the steps to another pavilion that overlooks the labyrinth. Then, with your honey, poke fun at people getting lost below. Now why hasn’t anyone filmed a movie here yet? If you continue climbing the steps up, you’ll reach the top terrace. Behind it you’ll find another peaceful pavilion with a pond, which is dedicated to the nine muses. You may even spot a fish or seven. I can’t forget the kids now. The Parc del Laberint d’Horta has a large playground: climbing ropes, bridges, bouncy things, and spinny things. It’s good for ages 2 to pubescent “I-don’t-care-WHATEVER” age. The playground is surrounded by green grass, trees, benches, and an outdoor café. It’s an ideal spot if you want to have a picnic here under the shade. Or you can have a coffee at the tables and watch the kids romp nearby. You won’t have to worry about overcrowding. 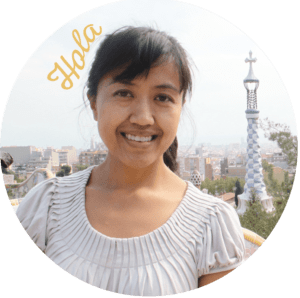 Unlike Barcelona’s city center, this park doesn’t have the masses of visitors like Park Guell or Park Ciutadella. It’s not the most stroller-friendly park, so be prepared to flex your muscles. It’s separated into three terraces. To go up to the labyrinth, you’ll have to schlep your four-wheeler up the steps. You can avoid the steps to entrance. To enter through the main entrance, you have to climb about 50 steps. Look to the right. Walk up the ramped street (Carrer Germans Desvalls), and there’s a small entrance to the left. Bring a picnic lunch and a blanket. On a warm day, it’s a perfect place to sit on the lawn and watch the kids play and fight. Parking your car is easy on weekends. If you’re taking the car, you’ll find ample parking spots in 4 different parking lots on Carrer Germans Desvalls. See the map below. 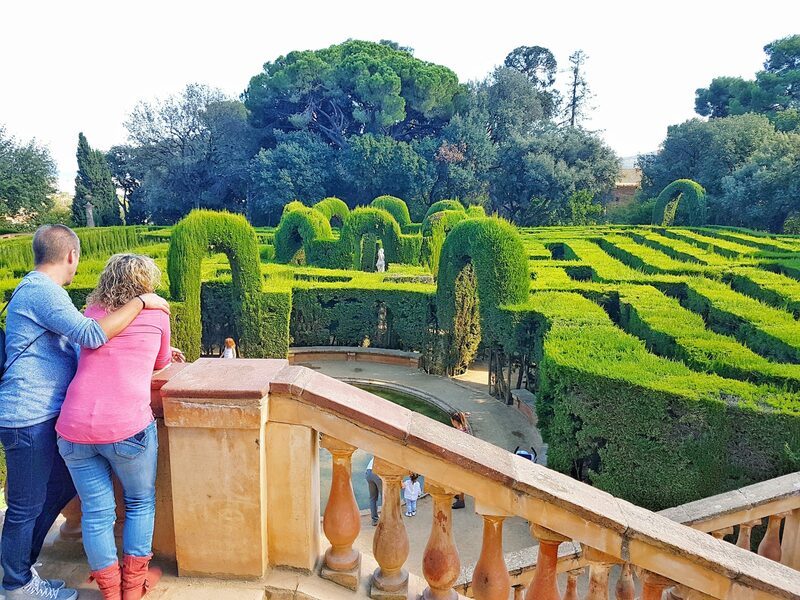 If you like this place, check out other unusual things to do in Barcelona! 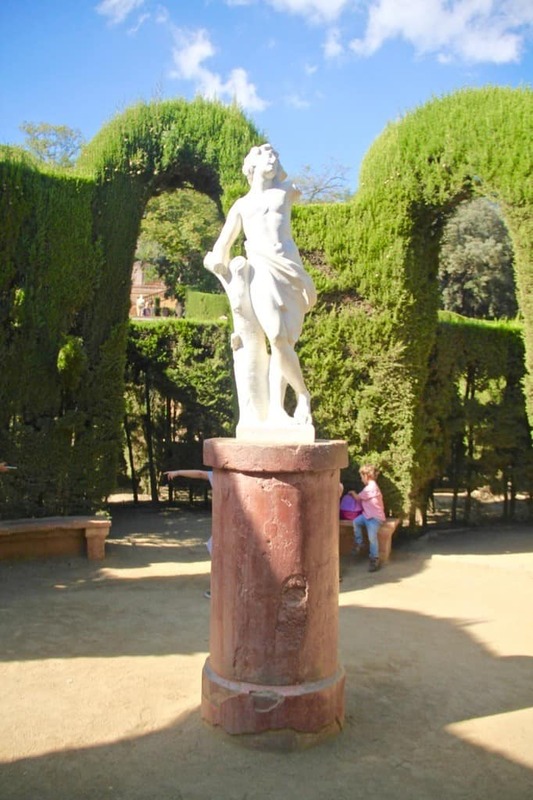 Have you been to the Parc del Laberint d’Horta? Do you think you would come here? Let me know! Previous Post Poblenou Street Art Worth Checking Out Next Post Balthazars of Spain, stop doing blackface.